Today, I learned through The Blogess that a Life List is like a Bucket List only with a much happier and positive-sounding name. Don’t you like Life List better? I do. I’ve made some half-hearted Bucket Lists before but never gave them too much thought. It’s not that I don’t have goals; these goals are just stored somewhere up in my brain bin, independent of any formal written record. One of my friends from college makes a similar list. The year she was going to turn 30, it was “Thirty by 30” and the year after that, “Thirty one by 31” – that kind of thing. She even blogged it, too, which I thought was pretty cool. I lack the discipline (or desire) to do something so structured, so I’m not even going to entertain that idea for myself. There is, however, something about putting paper to pen (or fingers to keyboard) that ups the accountability ante. I’m tempted to record a “formal” one myself. Does it count if “write a Life List” is the first item on one’s Life List? True story (and Bucket List related, too): Last week I visited my brother in New England. 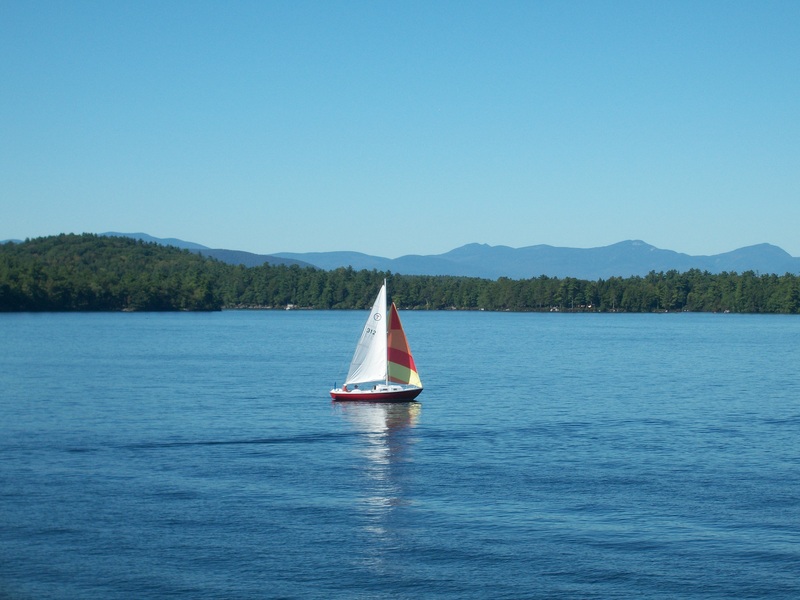 One day we drove up to New Hampshire and took a cruise on Lake Winnipesaukee. It’s a big lake, yes, and very pretty, but our main motivation was to see the setting for 1991 film What About Bob? – a movie with which we (along with Juanita) are strangely obsessed. Would you like me to recite it for you? Because I can. OMG! New HAMPshire?! You sailed on your first try? Did you eat corn that was hand-shucked? Did you get a shirt that says, “Don’t hassle me I’m local”? Did your brother at any point scream, “DON’T TOUCH MY SISTER!” and attack someone? I am jealous. Probably in my top-ten all-time favorite movies. Certainly in my dad’s top 5. Likely our family’s most-quoted movie ever. I cannot believe I never realized we had this in common. I have NEVER met anyone who has even SEEN this movie before, much less watched it to the point of being able to quote it incessantly. We did stand on the deck of the…whatever it was. Motorship?… and yell “I’M SAILING! I’M SAILING!” Unfortunately there wasn’t a mast to lash my brother to. And yes, I do actually own such a shirt.